Bentley: “Hello and happy International Dog Biscuit Appreciation Day. 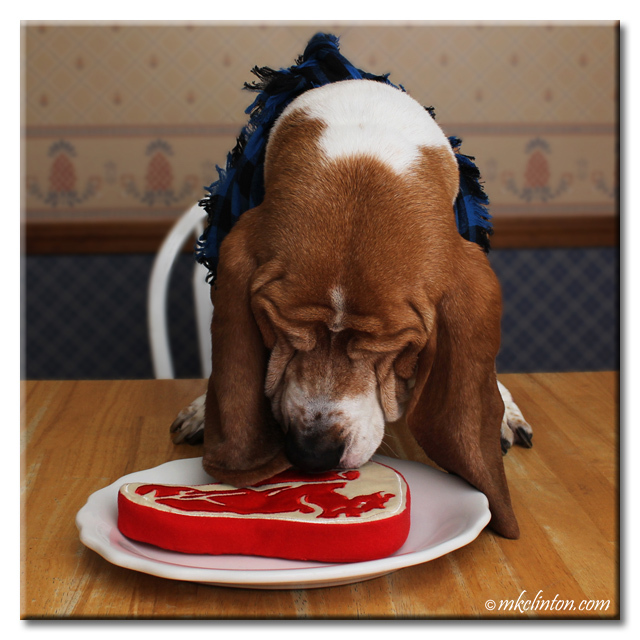 I’ll admit that I love a tasty dog biscuit as much as the next canine but when given a choice, I prefer steak. Can I get an ‘arroooo’ for steaks? You are probably wondering where I got such a drool-worthy steak so I won’t keep you guessing. It is one of the many cool toys available from my pals at PrideBites™. This one is prepared just the way I like it…squeakable, floatable, durable and machine washable. That not something your local steakhouses can claim! 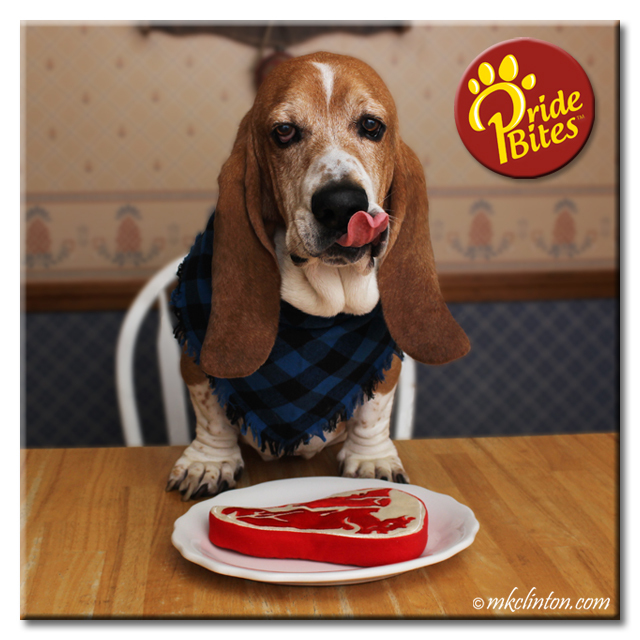 I love my steak to be tough and PrideBites toys are made to withstand 55 lbs. of pull pressure so I feel confident nobody can pry this from my grill. 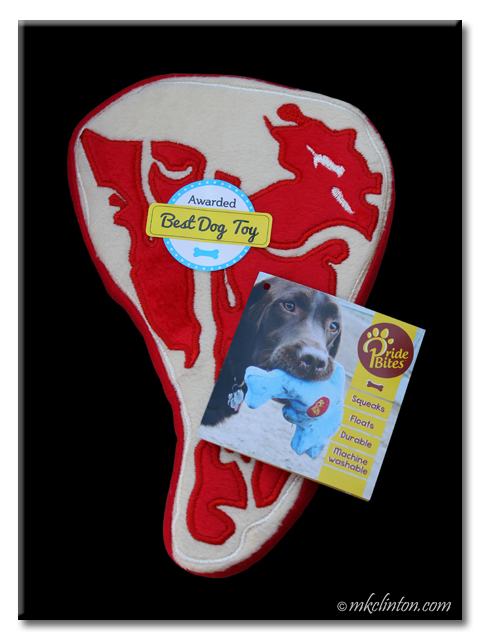 Their toys are stuffed with soft foam and vet approved for indoor or outdoor play. Those are just a few of the reasons that they won the ‘Best Dog Toy of the Year” from Pet Business Magazine within a month of their 2012 debut. We only have toys from PrideBites with our faces on them and mom is a meany and won't let us play with them! We need to check out the steak! Oh, I would love a steak too! Enjoy, but don't eat the squeaker! They make the cutest toys! I don't think they'd hold up to Luke though, but maybe we'll try one some day. We like Tough Steaks also. I has dat same steak! Did you take the squeaker out yet? Oh you had us at steak! It squeaks, that's good enough for us! haha a steak you can have over and over.